Music lover and dj Richard Soul spinning more than 23 years of music. He’s playing the music only by vinyl records. Because the quality and manner of transferring music better comes into its own. The audience also wants quality. 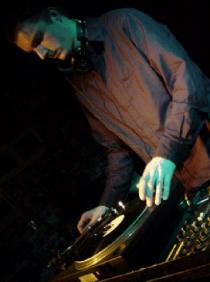 Has played at various clubs and radio stations in mainly the Netherlands. 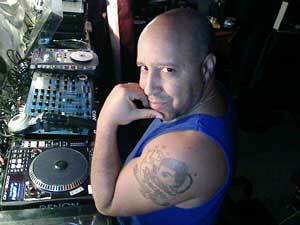 Timmy Richardson AKA TOT, Bronx, New York native likes to say he started his deejaying around the age of three. That would be when he got his first record player. He became obsessed with records. As he got older he became obsessed with radio. He grew up listening to all the major NYC stations at the time. His all-time favorite was Frankie Crocker everyday on WBLS. This all led to his becoming a dj as well as an avid record collector. He would go on to become one of the underground scene’s well known djs. He became a partner with Greg Daye of Wild Pitch, the moving underground parties of the late 80s- early 90s. A few years later he realized his dream of playing abroad when he travelled to Japan for a 3-city tour. He has also played in Brussells, Belgium. In 2006 he decided to start a record label called TOT PRESENTS. TOT is an acronym for “The Other Timmy”. People very often confuse him with the great dj Timmy Regisford. The label has a few releases out now produced by Timmy himself, as well as others.You can find them on various digital download sites.Timmy also specializes in mash-ups. Seeing that they were rarely done in the underground scene, he has done about 15 in the last 2 years, one of which actually got signed. Timmy is also co-owner of http://deephousepage.com. Here is where you can hear tons of mixes from djs from all over the world and classic radio mixes, as well as engage in dialogue about music and the scene. Mixologist Les Calloway aka OneMasterMixer Les Calloway has been a Mixologist since the ripe age of 11 years old. Training under the influence of the best of the best, he has been able to pioneer his own following with a unique style all his own. 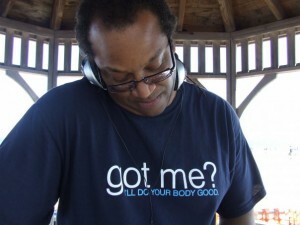 Les Calloway INFLUENCES – Larry Levan, Timmy Regisford, David Camacho, Tony Humphries, Tee Scott, Richie Kazar, Danny Krivit, Movin Records own Abigail Adams, Larry Patterson, Merlin “on the job” Bob, David Mancuso, Nicky Siano, Little Louie Vega, Jelly Bean Benitez, Frankie Knuckles, Ron Hardy, Matt Myers, Hippie Torrales,AJ Savage, Naeem Johnson, Mark IV Productions and countless others. By the age of 13, Les started attending many Club Venues: Paradise Garage, Butter Milk Bottom, Better Days, Studio 54, Area, The Red Zone, Bonds International, Zanzibar, Shaniques, Docks, The Executive Suite, Club 88, Peppermint Lounge, Paradisios, Sultan 2001, El Castile, Justines, the Bowling Alley, the Roxy, let us never forget The Shelter home of Timmy “The Maestro” Regisford, The Down Under and many more. Les Calloway has had the pleasure of mixing at many parties in and around the New York City since he was 12. His Music is not traditional, it is out of pure love and admiration that he gives special attention to every track. We hope you can feel his passion and …ENJOY his VISIONS. Soulful House Music Collage, a site dedicated to rotating House DJ’s from around the world via podcast. Born in Newark, New Jersey, Punch grew up in an environment rich with soulful music. Back in the day, he was influenced by his father who was a drum player and his uncle who played conga in a authentic big band. disco In the mid 70’s, Punch began hanging out with big name DJ’s such as DISCO CHUCK who worked with RICHARD LONG, KELLY who owned CLUB SENSATIONS, MARK 4 DISCO, G.O.L.D. PROD., MR C DISCO and FUNKY BILL DISCO. Punch looked up to these guys whom took him under their wings and showed him the art of being a DJ. Through these experiences, Punch began to make a name for himself and he began doing parties with a group of friends calling themselves GENTLEMEN OF NEPTUNE DISCO. Initially, they specialized in High School dances and House Parties. 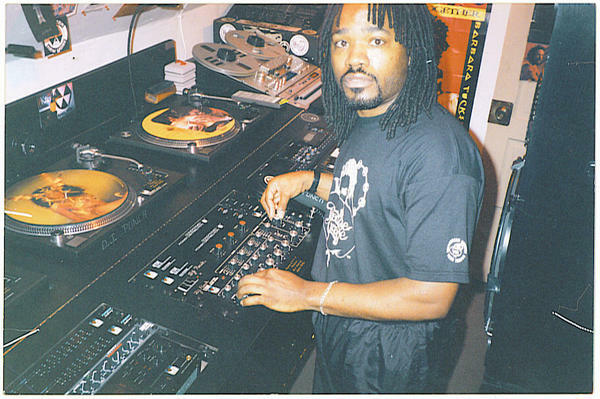 It was at this point when Punch started being influenced by NIGHT CLUBS and he encountered a whole new world thru SUPER CLUBS such as CLUB ZANZIBAR, PARADISE GARAGE, CLUB SENSATIONS, DOCKS, THE CHEETAH CLUB and CLUB BLACK BOX. discoEventually, Punch’s dream of DJing at these super clubs came true and he took his DJ career to the next level. While he was DJing at the clubs he met a soon-to-be production partner, DJ SHANK. They came together with P & S PRODUCTION and began throwing wildly eclectic mobile parties at TWIN CITY ROLLER RINK, ZANZIBAR, CLUB SENSATION & THE CHEETAH CLUB (just to name a few). Punch then hooked up with an old friend, MR. PAUL SCOTT, who took both Punch and Shank under his wing and taught them about Production and Studio work. They began working out of CLUB SENSATIONS STUDIO and called themselves B.O.P. PRODUCTION and the rest is history. disco Now living in “HOT ATLANTA”, Punch is still doing his thang. He hooked up with a real good friend, DJ T-GROOVE, and they are currently throwing the BIGGEST and HOTTEST PARTIES in “HOT ATLANTA”, utilizing their RICHARD LONG SOUND SYSTEM. They use the name “GROOVE KIDZ” and the parties are called “BABY POWDER”. The name speaks for itself.